Going to the Motor City (Detroit) to the Detroit Auto Show, seemed fitting because of all the cars built there. Car manufacturers in Detroit include Ford, General Motors, Fiat/Chrysler, Honda, Nissan, Toyota and Volkswagen. But many more manufacturers make their way to the halls of Cobo Center for you to see, touch and experience. The North American International Auto Show (NAIAS), is held in Detroit Michigan. 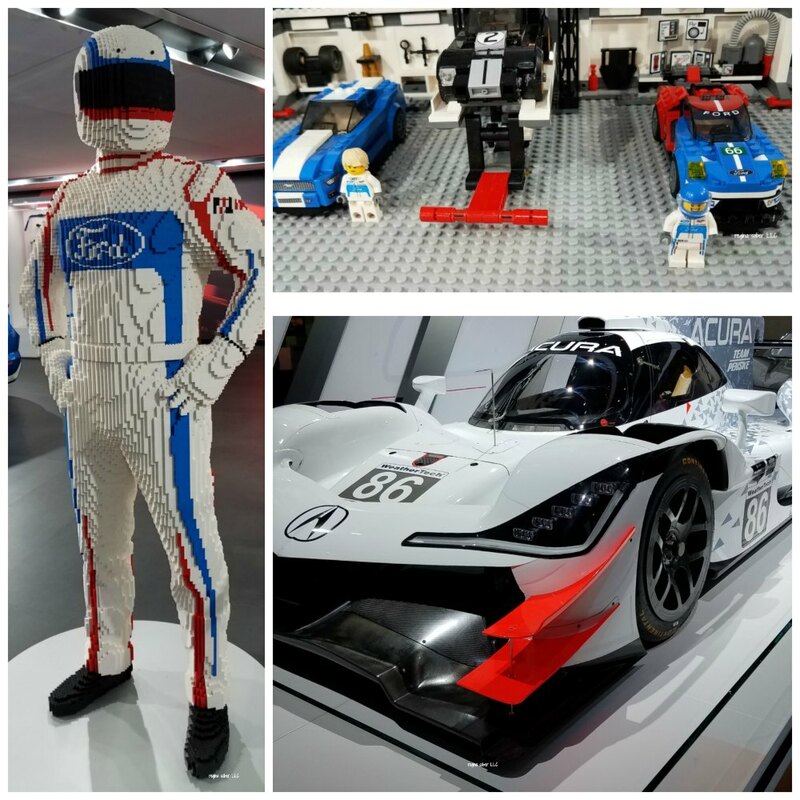 In this sponsored post with A Girl’s Guide To Cars, I share my tips on what you need to know before attending the auto show. I even have a couple for you to consider while you are at the show. 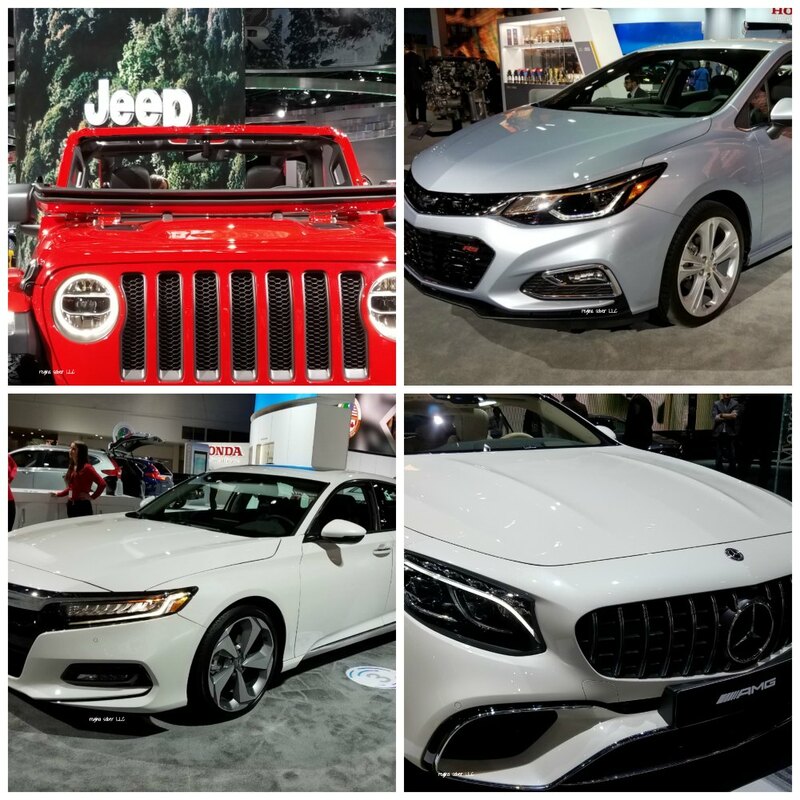 Here are my tips on how to have a great time at the auto show at the Cobo Center in downtown Detroit. buy tickets early or bring cash when paying at the door– if you buy tickets at the Cobo Center, they only accept cash. You can buy ahead of time with a credit card. wear comfortable shoes to walk – You are going to do a lot of walking. There are opportunities to sit, but most of the time you will stand or walk. The auto show covers over 150,000 square feet of space! Take a break and sit when you can. Expect to have to walk to get in Cobo also, so dress for the weather. check your coat – You will be walking, you will get hot. Spend the money and check your coat. 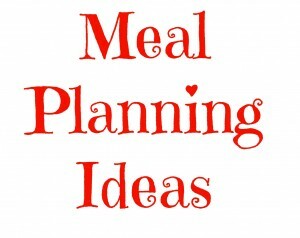 bring cash (for parking & food) – Not all parking locations take credit cards, so bring cash. Expect to spend anywhere from $10 to even $30 for the days parking, depending on where you park. There are food vendors, so bring cash for this and snacks. There are coffee vendors too. plan on having fun – Some of the car manufacturers have interactive booths. There is car karaoke and you can build a miniature Lego driver to name a few. There are a lot of unique vehicles, some odd vehicles and some pretty luxurious vehicles as well. bring a camera – You will want to take a self (or 20) of yourself in some of these fabulous vehicles. This may be the only opportunity you see some of them up close. And here it’s okay to touch them. share the experience – Bring your family/friends with you. Anyone you know who loves cars/trucks, vehicle enthusiasts will find this show interesting and amazing. talk to manufacturer representatives – If you want to know questions about how a vehicle is built or features and functionality, this is a great time to ask questions. They want you to buy their products (of course), but they are not sales people in my opinion, who will follow you pressing for a sale. They legitimately want to help you. celebrities – Look for celebrities! From famous actors to public figures. They love the auto show too! stop at the sponsor booths – The sponsor booths are great for knowledge as well. 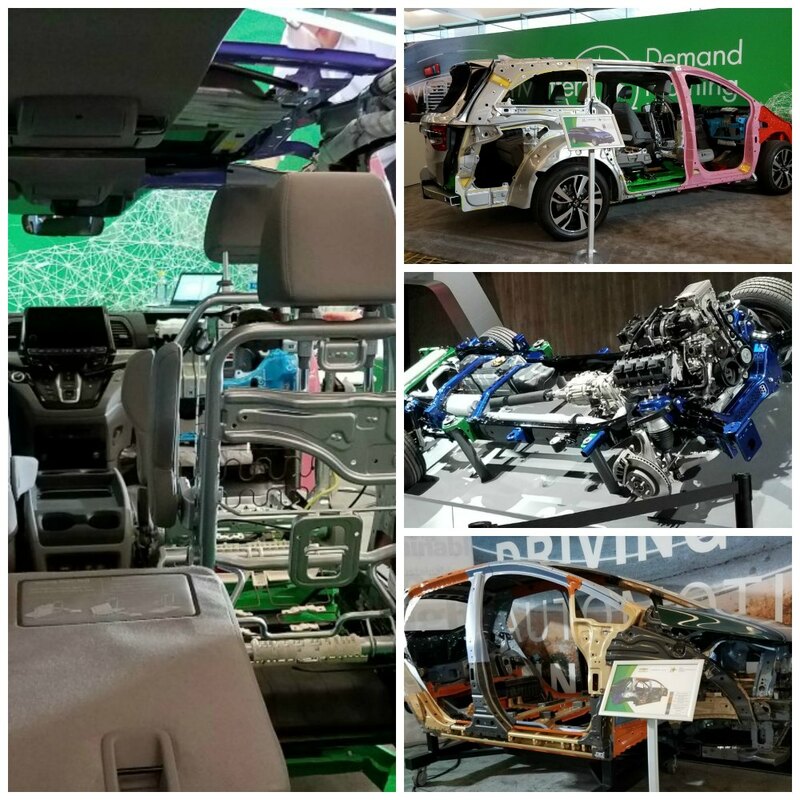 The SMDI booth (Steel Market Development Institute), as an example, can share with you the different grades of steel used in different areas of the vehicles (check out their display) to keep you safe! They also work with fire and rescue workers who use the jaws of life. Ask them about it! 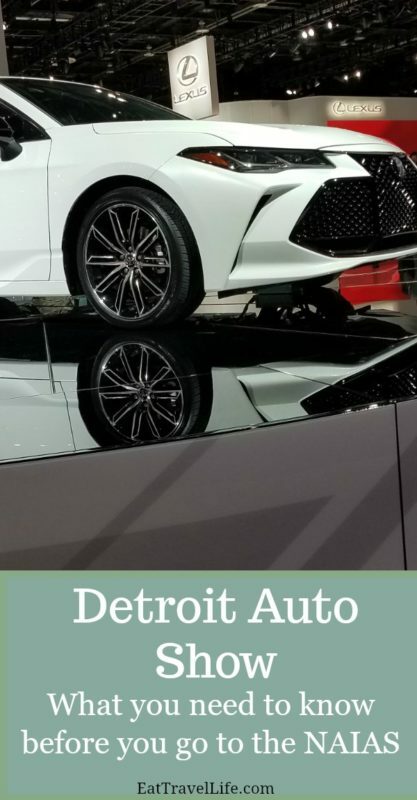 expect to stay all day (maybe 2) – There is so much to see at the Detroit Auto Show you can spend all day and still not see it all. Consider making it a 2 day or more event. 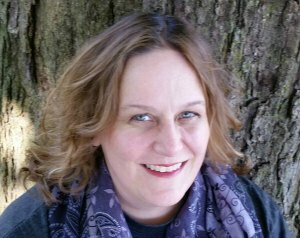 enjoy the experience – I have always heard people talk about how they enjoyed going to the show year after year. I can see why they do. Pick a date that works for you and enjoy. tour the town – there are many things to see and explore in the Detroit area. 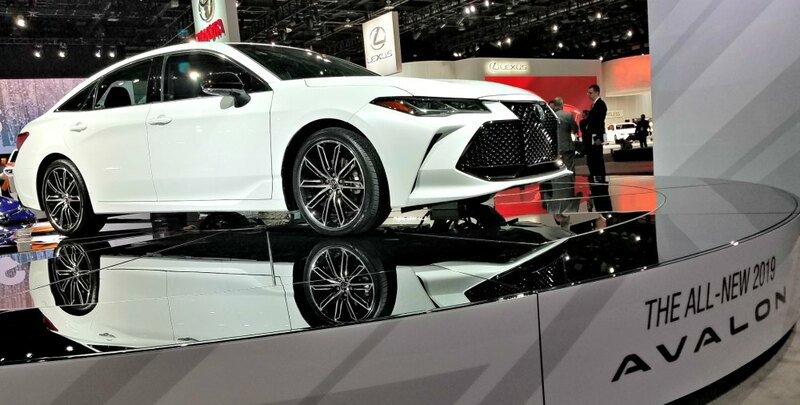 Now it’s your turn, What’s your favorite part of the Detroit Auto Show?